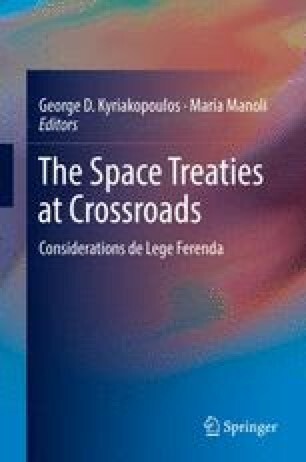 The United Nations treaties on the exploration and use of outer space (“space treaties”) date back to the beginning of the space era, when space actives were limited and generally carried out by only a few governmental actors. At the time international space law was called to reply to specific needs of the international community, such as to protect against the establishment of State sovereignty in outer space, to prohibit its use for non-peaceful purposes, to define the rights and obligations of States with regard to space objects. The regulation of private activities were addressed, but only as a subject of authorization and supervision of a certain State (the “appropriate State”), that should also bear international responsibility for them. The views and opinions expressed are those of the author.